In the music industry, a manufacturing and distribution deal (commonly known as an M&D deal) refers to a standard contractual arrangement between a record label and a music distributor. Under an M&D deal, the distributor pays for the manufacturing costs of an album beginning with the pressing process, all the way through to the printing of the labels. The distributor then recoups those costs from record sales – as well as a pre-determined percentage profit. Distribution companies that offer these kinds of deals often offer other services such as marketing. These kinds of deals are becoming less and less relevant in the face of falling music sales and increased digital distribution. However, from a record label's perspective, especially an indie label with limited resources and funds, an M&D deal can be a lifesaver – especially if they plan to produce physical copies of albums. For record labels, M&D deals make sense because they can have their records pressed without incurring any upfront expenses. This translates to less disruption to the cash flow of the company, which can be significant for independent and small labels on tight budgets. Traditionally, big record labels rarely enter into M&D deals. Additionally, record labels pay less for manufacturing under an M&D deal, because the distributor manufactures albums in large quantities, allowing the label to cash in on their preferential rates. And, because the distributor has invested in the release of an album, they will be motivated to get it into the stores and start making some sales. Of course, wherever there are pros, there are bound to be cons – and the music industry is no exception. There are a few things that labels need to keep in mind about M&D deals. First, the label doesn't get any money whatsoever for the release of an album until the distributor has recouped their manufacturing costs as well as their portion of the profit. This has the potential for turning a small cash flow problem into a very large cash flow problem. If a label's release schedule is fairly busy, it could find itself in serious debt to the distributor. 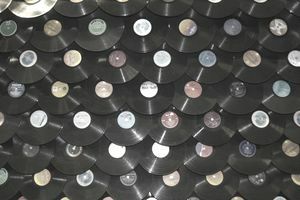 That could push the label's payday even further away – especially if each release is not treated as a separate account. There is also another scenario that could result in debt. If record sales are poor (or less than estimated) the label may also end up in debt to the distributor. Labels could also end up ceding some control over releases to their distributors. For instance, the distributor may object to the cost of printing the label's marketing booklet – even though the label or artist thinks it's vital to the record's success.